I got to thinking about the big kids for Easter baskets. I didn’t want to leave out anyone. Just because we are adults doesn’t mean we can’t have an Easter basket too. Easter basket for us adults can go from the traditional to extravagant and cheap to expensive. Some of the basket ideas could be used for that teenager or young adult child that you have in your family and you want to do something special for them. Traditional: I know in my other post for unique baskets don’t fall into this category, but as adults we do enjoy memories of our childhood. Purchase that traditional basket, fill it with the fake green grass and put all the candy you can fit into the basket. Don’t forget to buy the hollow chocolate Easter bunny, Peeps, and the foil wrapped eggs. Make a loved one feel special by reminding them of their childhood. Car Bucket: Go to your local auto store (Auto Zone), Purchase a bucket (to wash the car), car wax, car freshener, Armor All and a tire pressure gauge. Put items in the bucket and you have a unique Easter basket or the new driver in the house or for the car buff. You can also add Car wash coupons, a gift card to the auto store and a free oil change. This idea works great a person that owns a boat, motorcycle, ATV…anything with a motor. Tackle Box: Do you have an avid fisherman in the family? How about a new tackle box with all the fixins’. Fill the tackle box with new line, hooks, and lures, fishing knife, multi-purpose tool and artificial bait. You can also add a note saying they can chose a day just to go fishing with no complaints from us. Or you can add the note saying you have a planned weekend of nothing but fishing with the family. Hobby Basket: What’s your loved ones hobby? 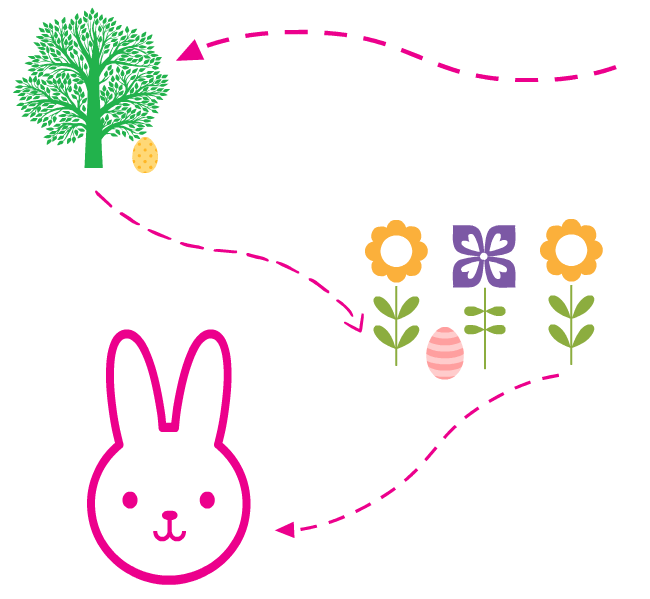 Whatever the hobby is, use your imagination and find a way to make that into an Easter basket. Photography: Get a new camera bag, memory cards, a new lens, and storage containers for the photos or equipment. Darts: new darts, tips, flights, new board. Set up your own home tournament one night and invite all your friends. Electronic Geek: new cases to store or carry what they need, a new piece of equipment they have been wanting or a gift card to their favorite electron store. Gardening: New tools, gloves, watering can, seeds, potting soil and pots. Maybe a new work space outside, build a small green house. Baker/Chef: Cooking/baking lessons would be a great idea, especially if it were for two. New pots/pans, knife set, utensils, new cook book. How about the outdoor chef: fill up the gas tank, clean the grill for them, better yet get a new one and all the accessories. Sports: If your loved one plays sports then new equipment or clothes would be a great idea. How about a Gym bag to carry everything in. If they like to workout at home, some new weights would be welcomed. Get them a year gym memberships or coupons for the batting cages. Here are some small gift ideas: new golf balls, tees, socks, gloves and towels. Weekend Get-a-Way: A weekend vacation is a wonderful idea. Spring has sprung and it’s time to get rid of that snow, cold and yucky winter blues. What a better way to rejuvenate then a trip someplace warm. Plan a romantic trip or just a time to relax and reconnect. I hope these ideas have helped you celebrate Easter in a different way. It’s time to shake out the cob webs from winter and use our imaginations a little bit. Have fun showing your loved ones how much you do care for them. Categories: Easter, Helpful Tips | Tags: Easter, Easter baskets, Easter ideas, Helpful tips | Permalink.